When we decided to visit South America this year, looking for some great walks to do was of course the first thing I did. 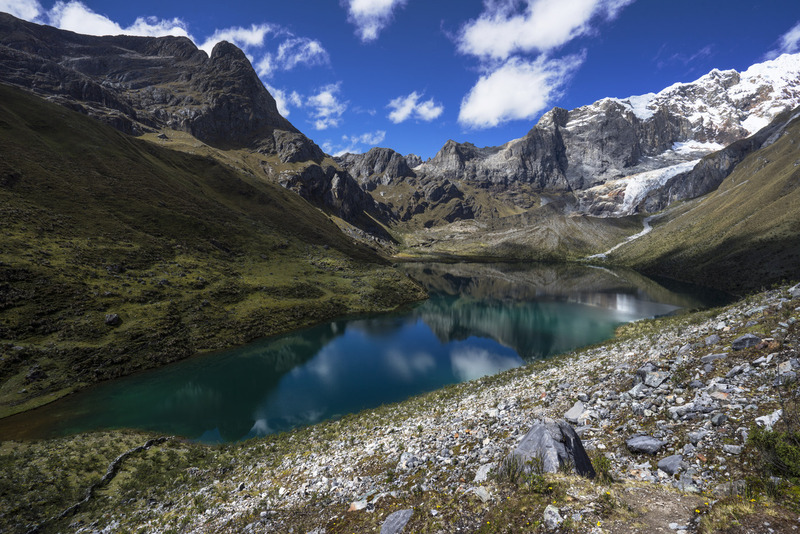 If you type just about any variation of “best walks in South America” into Google, you are almost guaranteed to find a list featuring the Huayhuash Circuit. 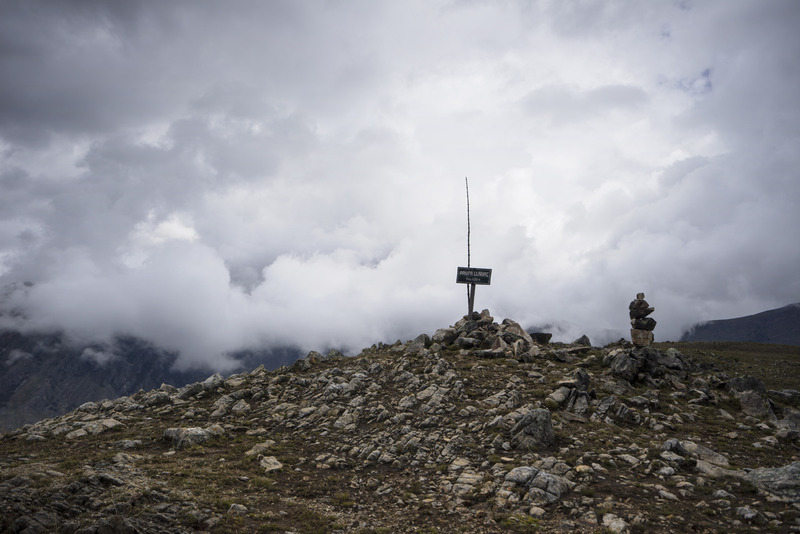 It is described variously as “the best high-altitude trek in the world”, “the best high-alpine walk in the entire world” and “one of the top ten trekking circuits in the world”. With that and the photos of the walk provided by Google, it’s unsurprising that this was pretty much the first walk to make it onto my list for this year. The photo of the Huayhuash, this is probably going to be the one you see at the top of all the blogs and trip reports. The Tres Lagunas, day 4. Circumambulating the Cordillera Huayhuash, a small but very tall mountain range close to Huaraz, Peru, the Huayhuash Circuit usually takes 8-10 days depending on itinerary choices. 8-10 days of awesomeness. Even after all of the rest of the walking we’ve done this year, the scenery on the Huayhuash was consistently spectacular. 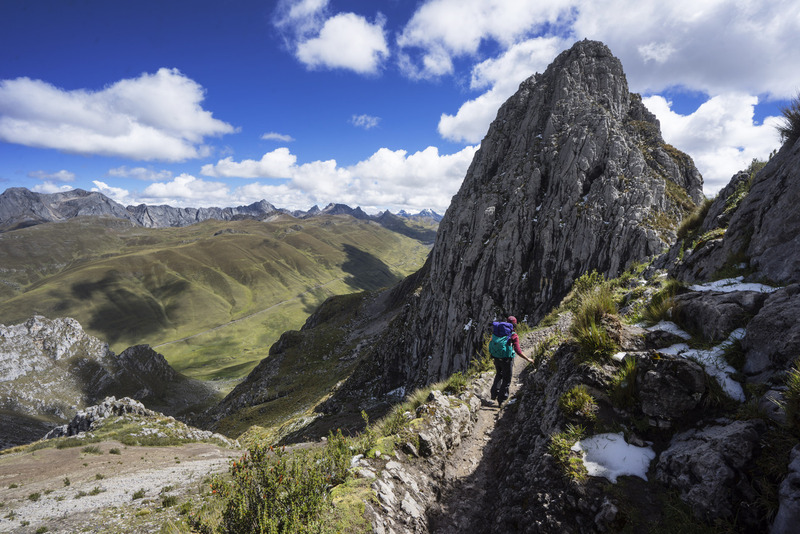 They’re not kidding about the high-altitude aspect either: with 7 peaks over 6000m, including Peru’s second highest, Yerupaja, there’s plenty of mountain to go around. 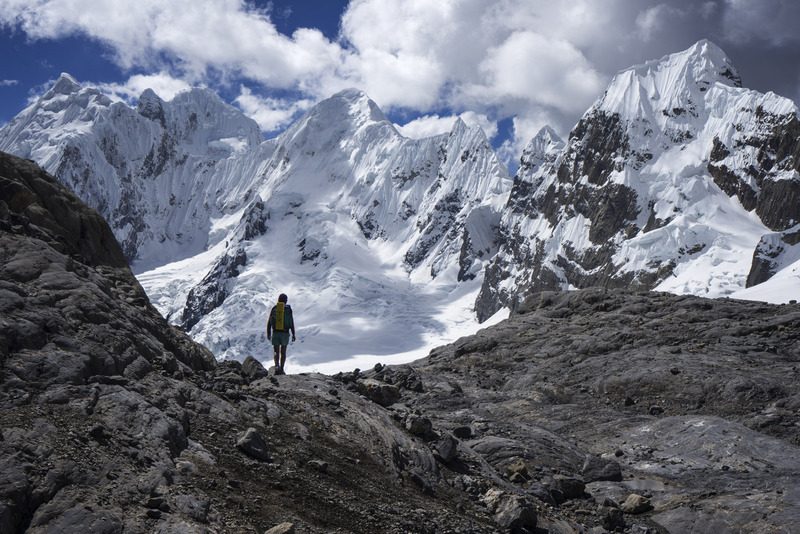 The Huayhuash is of course also home to Siula Grande, whose west face and glacier were the scene of Joe Simpson’s incredible feats detailed in Touching The Void (which I have now finally read… *&%$#! hell!). 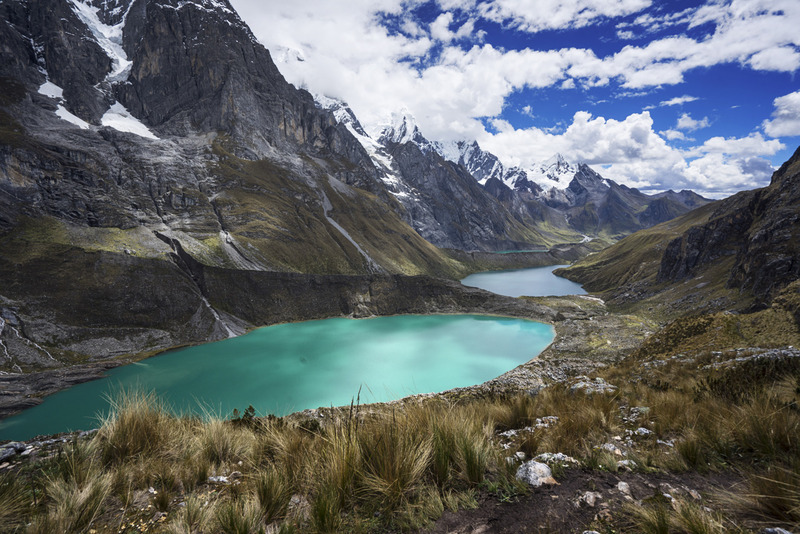 Like much of the great mountain walking and climbing in Peru, the Huayhuash is accessed initially via the small town of Huaraz. An overnight ride from Lima saw us stumbling off the bus at dawn, trawling the streets for a suitable hostel before ending up at Hostal Tambo. A small, out of the way den, it’s the cheapest place we’ve stayed this year (outside of imposing on family, of course! ), which proved to be a mixed blessing. The entrenched regulars were a lovely crowd, exceedingly welcome (especially if you like the ganja…) but also wont to stay up til the early hours making music, chatting and generally having a good time. Given that, the general layer of grime found all over the place and my crotchety old man demeanour, we didn’t stay there on the return to Huaraz… But for somewhere around $8AUD/night for the both of us, one can’t complain too much! We had a wicked communal pizza night around their woodfire oven too. We spent our first few days in Huaraz getting to know the place, finding our last few bits and pieces and, of course, doing some acclimatisation walks. 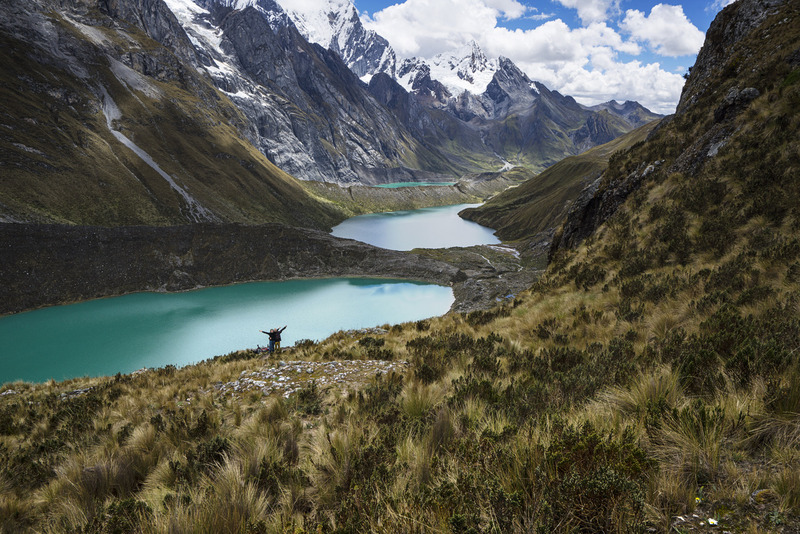 Huaraz itself sits at around 3000m, but all of the surrounding walking is much higher. We headed to towards Laguna Agauc but turned back due to afternoon rain, and the following day made a beautiful trip to Laguna Churrup at around 4500m, and then wandered on a little further to Laguna Churrupita 100m further. With a well-made track, some fun scrambling sections and beautiful views, this walk really is worth doing if you get the chance! We were chased back down by afternoon rain and hail again, which was to become something of a theme for our time around Huaraz. Laguna Churrup on an overcast day. Well worth a trip, and great for acclimatisation. After reading through various itineraries, our biggest decision had seemed to be where to start our walk. All itineraries finished at the small village of Llamac, but not all started there. There are a variety of starting points, but apparently Quartelhain (AKA Matacancha), a little way up the road from Llamac, is the normal starting point for most walkers. Considering that they call it the Huayhuash Circuit, I figured it only really made sense to actually walk the whole way around, and hence we picked Llamac as our jump off point. It was fairly easily accessed by a bus from Huaraz to the pleasant small town of Chiquiain, where we had a quick breakfast at a corner store and jumped bus to continue on to Llamac. During the general milling about on the street corner that typically ensues in a bus change, we happened to spot a rangy looking gringo who looked increasingly familiar… Turns out he was an English fellow whom we had met in El Chalten just prior to walking the Huemul Circuit! He had just hopped off the bus from Llamac, having just finished walking the Huayhuash himself. After assuring him that we were not, in fact, stalking him, we had a great chat and asked him a load of questions. It was awesome to catch up so far from where we had first met and so randomly too, and even better when he insisted we take his copy of the 1:50 000 map! We tried our best to pay for it, but Archie was a gentleman to the end and absolutely refused. It turned out to be a great map, so thanks Archie! Arriving at Pampa Llamac after the long climb from the town which shares the same name. A cloudy first day on our way to Laguna Jauacocha. Buoyed by our chance meeting and the prospect of setting off on a long-awaited walk, we spent a pleasant ride between Chiquiain and Llamac getting to know the locals on the bus, forcing our terrible Spanish on them and doing our best to learn a few words of the local Quechua dialect, at which we failed miserably. We also made friends with the 3 other gringoes on the bus, a French-German couple and a French-Canadian fellow, all of whom were planning some sort of Huayhuash walk, but all of whom were starting further up the road. Hopping off at Llamac, we were immediately prompted to cough up for our return tickets, which after some back and forth we managed to make open-ended. After this was sorted, it was all uphill from there for just about the rest of the day. The climb from Llamac to Macrash Punta, is a long one. 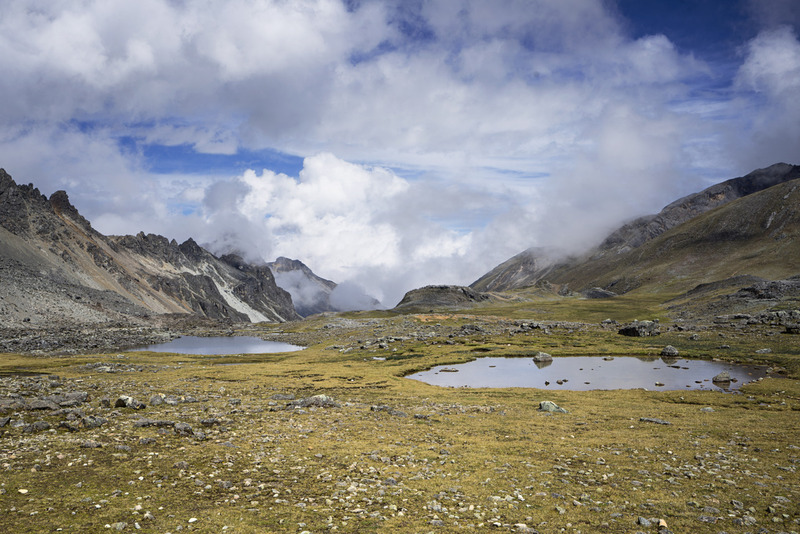 Ascending from 3400m to around 4300m with 9 days of food and gear was… Slow. Beautiful though, and we bumped into a few locals doing track work, caring for their flocks and just generally enjoying themselves in the lovely sunny weather. 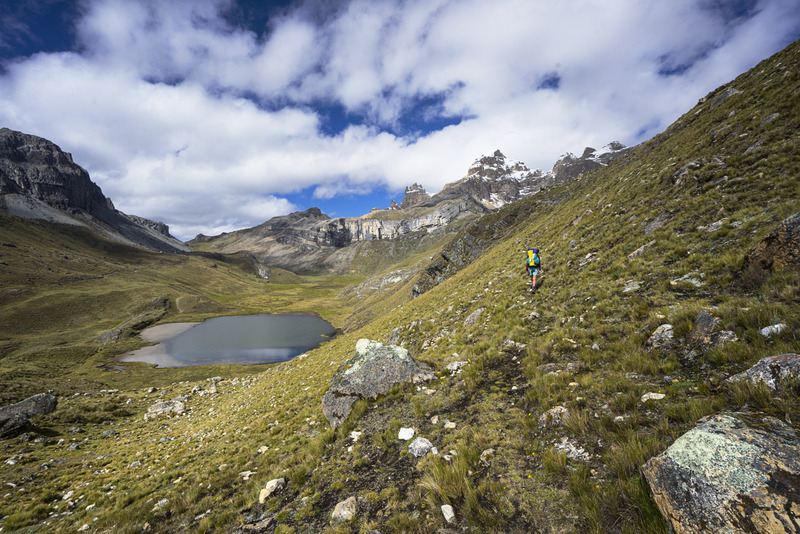 After making to the top of the pass, the track slowly slopes down to Laguna Jahuacocha, where we to meet the first of the other walkers on the track. Jahuacocha is often the last night on the track, and there were a number of big groups already situated there when we rolled in in the early evening. Open fields and easy walking on the way to Jahuacocha. 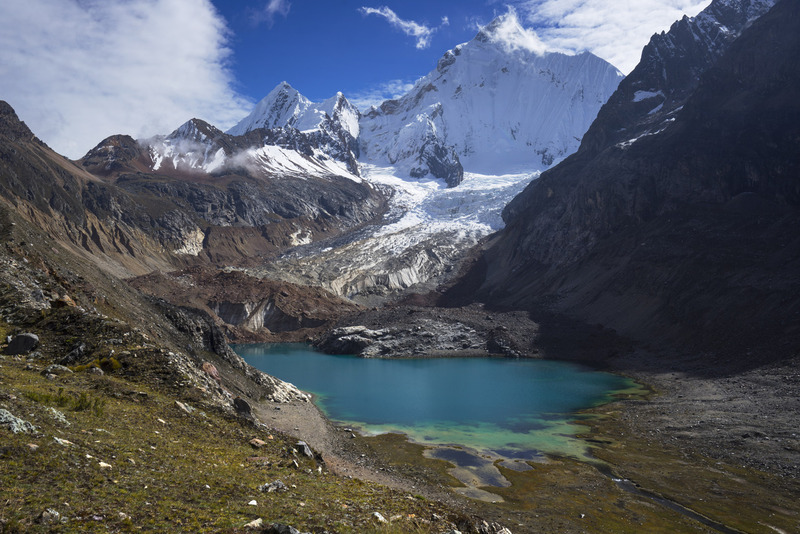 Laguna Jahuacocha, with Nevado Jirishanca above. After passing a pleasant night at Jahuacocha, we got moving onwards towards Quartelhuain the following morning. But, not before we had paid our first toll. 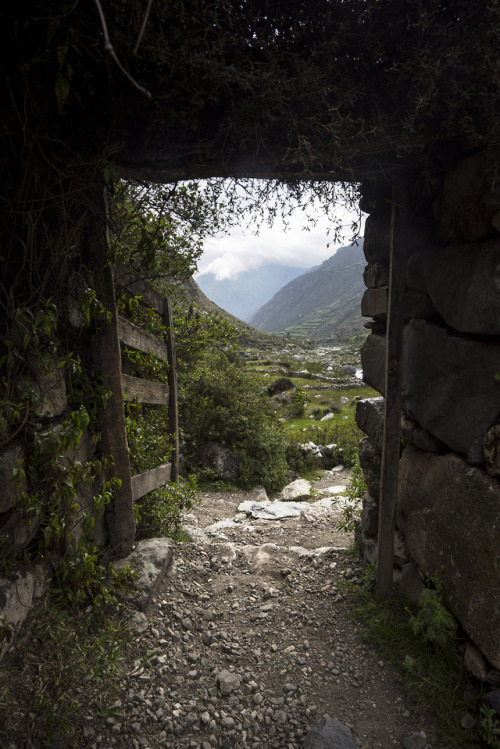 As Cordillera Huayhuash does not sit within a national park, there is no single entrance or permit fee which is paid, but rather a series of individual payments made to members of different villages which are situated along the track. Though we had thought we would have to pay upwards of 200 soles each based on internet research, I think we actually ended up paying somewhere closer to 160. I guess we must have missed a few! The fee purportedly goes to maintaining the track and toilet facilities, making it a worthwhile endeavour. The people coming to collect the fees were generally polite and friendly, and we had no issues. Others have previously complained of being charged twice, so it’s always advisable to ask for a receipt – most of the boletas (tickets) were given without asking, though we could not get one at all from some of the people! 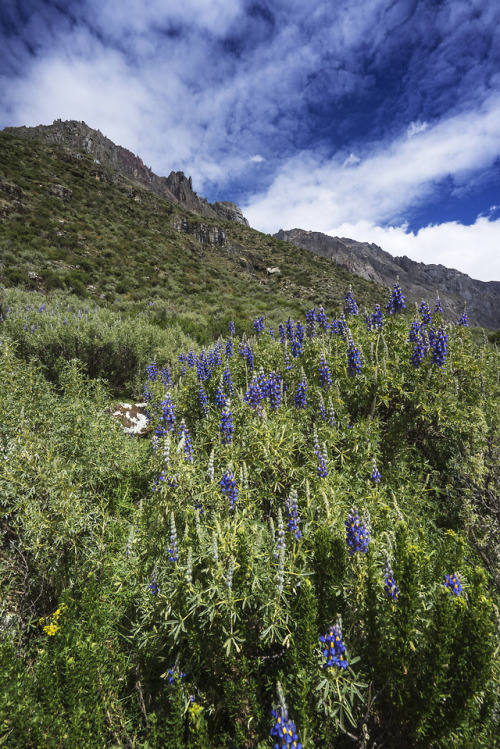 On the way to Rondoy Punta, above Laguna Salterococha. The walk past Laguna Jahuacocha, with Nevado Jirishanca rising up behind the lake, is lovely, but for me the real beauty of the day lay in the section between the pass of Rondoy Punta and the road to Quartelhuain, which had beautiful views over a grassy valley, snowcapped peaks beyond. Perhaps it was just the dappled light of a partly cloudy sky, but it was a beautiful scene. After having lunch looking over the valley, we promptly managed to lose the track on the way down. With parts of track appearing on the valley floor, we simply turned and headed steeply downhill, arriving by a lovely stream, which we followed down to the road. The previously dappled light had become a sullen gloom as the clouds thickened and descended, and our pace quickened in an attempt to avoid the looming rain – all to no avail. 20 minutes before arriving at camp, the clouds well and truly broke open and it started to pour. Once warm and dry in the tent, we settled in for a vestibule-made dinner and a good long sleep. Before the rain arrived, on the way to Quartelhuain. The following morning, we made our way slowly out of camp and continued up the broad, grassy valley. 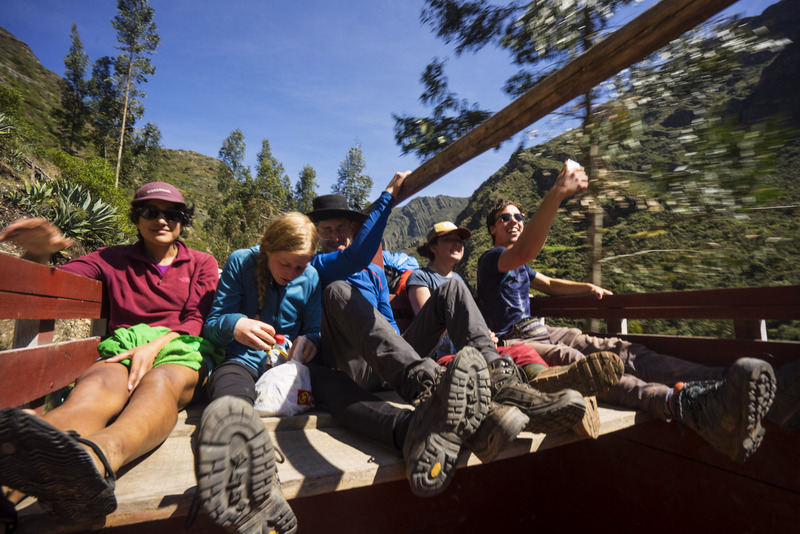 Passing by stone fences and houses, we ascended to Cacanapunta, spotting a few expedition groups on our way. It was a little galling to see them swanning about with daypacks whilst we still laboured under our loads of a week’s worth of food, but satisfying at the same time. There’s just something that feels awesome about knowing you’ve got all you need on your back. Stone fences and stone houses on the way out or Quartelhuain. Choosing to deviate a little from the standard itinerary, we found the metal cross memorial as described in our guidebook and headed off to the right, arriving at Laguna Mitucocha for lunch after taking a meandering route through broad valleys and under some impressive rock faces. Having arrived so early, we figured we might as well push on to Laguna Carhuacocha. Taking the normal route rather than the high variant in the name of time, we ascended some gentle green slopes that eventually lead us to Yanapunta and the descent to the laguna. Of course, being the afternoon they also led us straight into the teeth of the driving rain and hail that sprang up just as we were about to cross the pass. 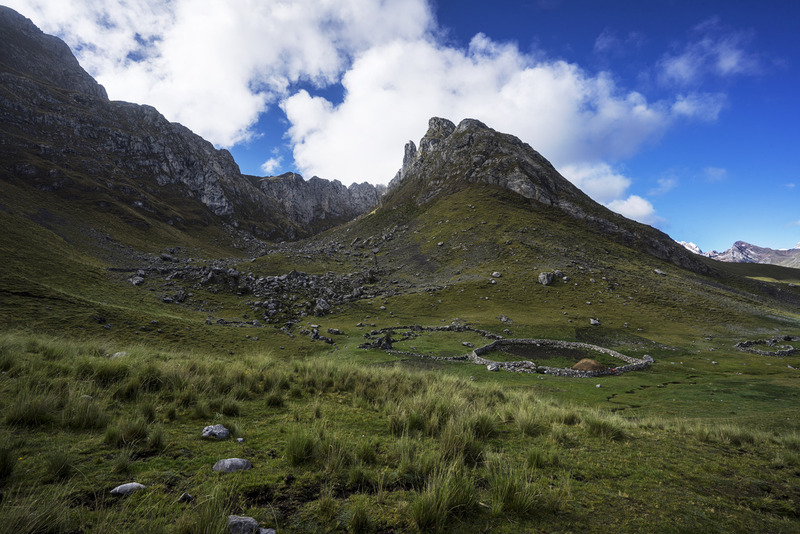 Having left a little late from lunch and hindered by the weather, the descent to Carhuacocha was a slow and fraught affair, with the now slick track having already been seriously eroded by the passage of many feet, both human and equine. The obvious signs of animal passage were found everywhere throughout this walk (as indeed were the animals themselves! ), but nowhere was it less convenient for us than this afternoon! Still, slipping and sliding on the exposed clay and churned up muck we eventually made our way into camp, thoroughly wet but still satisfied with a great day’s walking. Morning brought with it beautiful views and a reunion with friends. The night before we had briefly bumped into our French/German friends from the bus, but this morning we had the chance to have a good chat. Julian, who had walked the circuit ten years ago, encouraged us to take our time packing up to allow the remaining cloud to clear and reveal what were promised to be spectacular views. 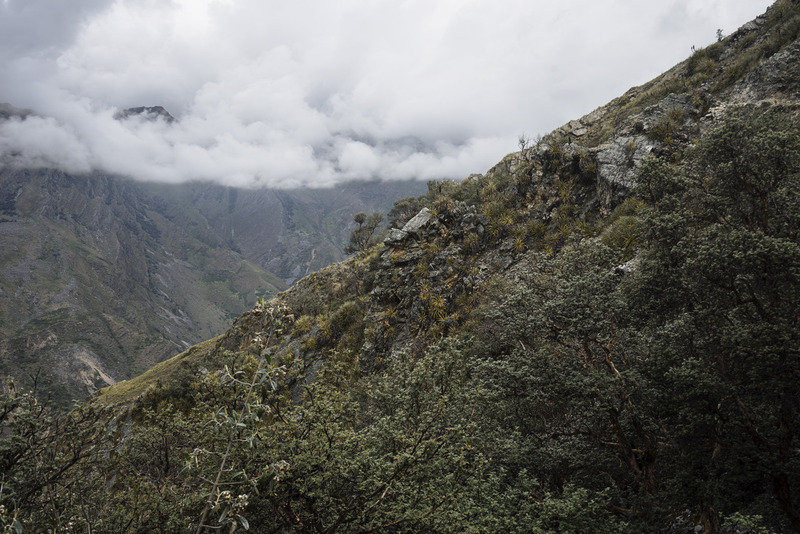 Indeed, once the cloud started to clear the views of Yerupaja, Yerupaja Chico and Jirishanca were worth waiting for. We exchanged brief greetings with a couple of American blokes as we wandered out of camp, mostly just impressed that they had managed to be even slower than us! I guess they had got the memo about enjoying the views too. 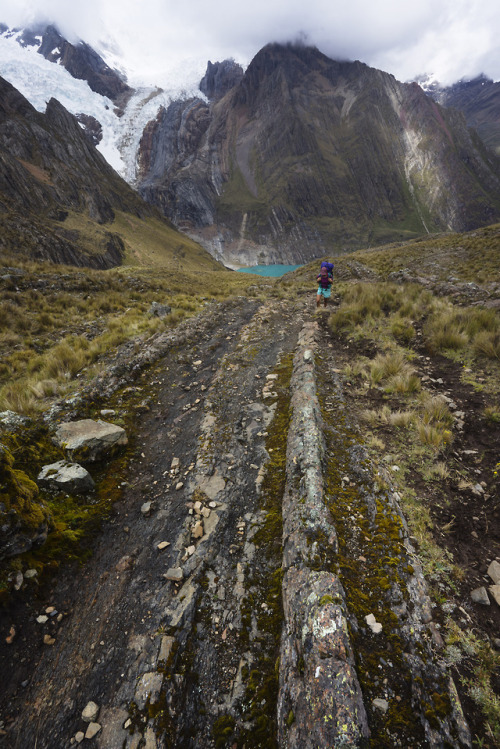 Teaming up with Julian and his partner Theresa, we made our way past Laguna Carhuacocha and its beautiful views and headed up the valley towards the Tres Lagunas viewpoint, photos of which are probably the motivation for 90% of Huayhuash trips I imagine. 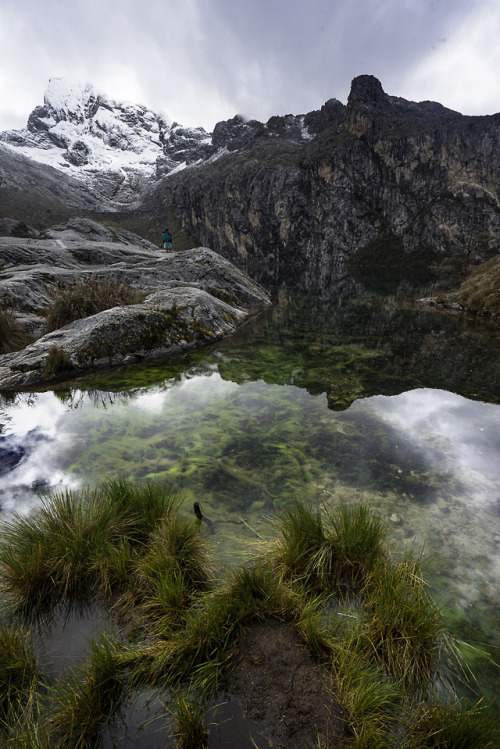 Lagunas Gangrajanca, Siulacocha and Quesillacocha set a fantastic scene, I’m sure you’ve all seen the photo – a small walker stands in front of three brilliant blue lagoons whilst cloud-wreathed peaks rear above. As with all truly beautiful places, it was more impressive in person than one can convey through the lens. Not that it stopped me from taking hundreds of photos! Theresa and Julian above the Tres Lagunas. It is a magical spot, not to be missed. We sat and enjoyed the views over lunch with Julian and Theresa, and were soon joined by the two Americans who had been packing up as we left camp. Alex, from Oregon, and Grant, from North Carolina, were two friends who had met in a hostel and teamed up to walk the Huayhuash together. Lunch passed pleasantly, the 6 of us all getting to know each other before we sadly said goodbye to Julian and Theresa, who were only day-walking to our lunch spot and planned to head out via another village the following day. Vincent, the French-Canadian fellow, had also headed out from the same camp that morning, but we had last seen him struggling along a steep slope on the wrong side of one of the small lagoons halfway up the valley, struggling under his enormous pack and looking decidedly unhappy. Despite sitting and waiting for some time, he never arrived. We would find out later that he had turned around that day and headed back to camp, and left the track shortly thereafter, defeated by his too-heavy pack. Looking over Laguna Siula to where the previous photo was taken. The track takes you over behind and in-between the small peaks in the middle of the skyline. 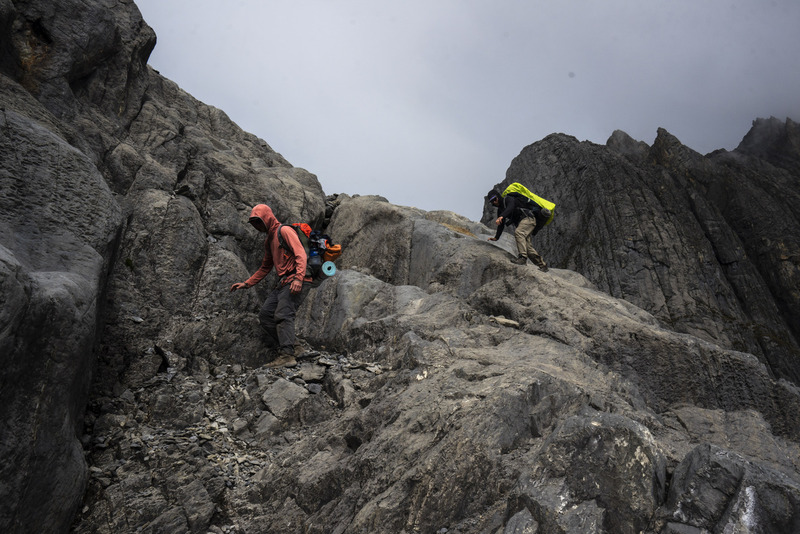 Heading off from lunch, we made the at times steep ascent to Siula Punta. Heading down and across towards Cerro Pucacocha, straight into the habitual afternoon hailstorm, which was also punctuated by thunder this afternoon. Of course, it was only after heading on for at least a kilometre and a hundred metres or so of descent that I realised I had left my sunnies sitting at the pass… So we found a place for Nitya to hunker down out of the worst of the weather and I made my way back up as quickly as I could. At this altitude, that was not very quickly. The rest of the descent followed mostly without mishap, with the weather clearing as we went, leaving for a lovely clear afternoon, or so we thought. 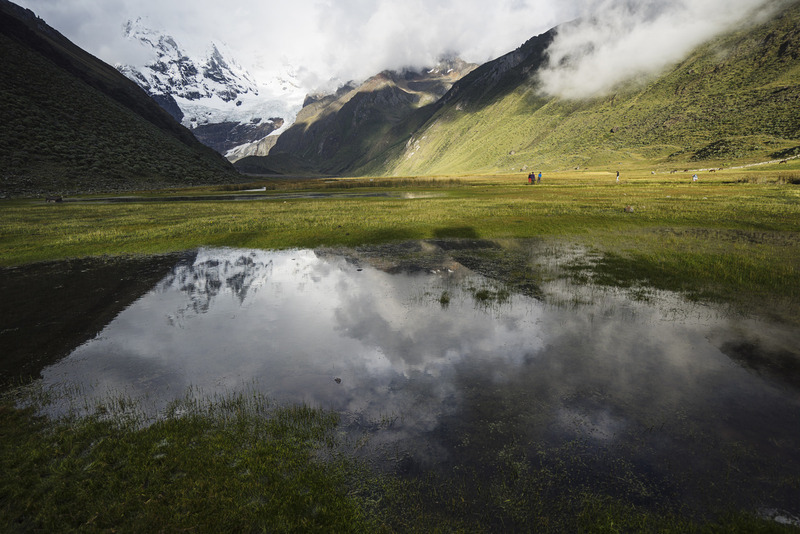 As we came ever closer to camp at Huayhuash, the dark clouds gradually encroached on the previously sunny sky, promising plenty more precip to come. In the race between getting to camp and getting the tent up and the sky opening up to soak us both, in the end I think we managed a solid draw. Arriving just as the hail started to thunder down from the clouds, we managed to get Nitya and the bags inside the tent mostly dry, but now was, of course, when we would discover one of the issues with our tent setup. We had decided to carry a Zpacks Triplex during our Andean adventures, relying on the time of year and lack of previous bad experiences detailed on the internet to offset the worries about UL flimsiness, which turned out to be a good decision, though it didn’t seem like it as I was getting pounded by hail trying to work out why I couldn’t get it to pitch straight! It turns out that the carbon fibre poles made by Ruta Locura which we paired with the tent have quite a small footprint, meaning that with the hefty amount of force placed on them by a fully tensioned Triplex, they sink easily into soft ground. This meant that the more I tried to adjust the tent, the further the poles sank and the more frustrated I became. After I eventually worked out what was going on, the issue was quickly sorted by loosening everything, pulling the poles out of the muck and placing some nice flat rocks underneath them to spread the force, after which the functioned perfectly. Of course, I was totally soaked by then, but thankfully the hail was short lived. Getting off the main track on the way to Paso Jurau. You can see the standard route if you look carefully on the left of the photo. Camping at Huayhuash, we had our first real introduction to Israeli group which was sharing the track with us. Israelis have an unfortunate reputation amongst other travellers it seems. Commonly found in large groups, fresh from their national service, full of energy, they want to have a good time, and they want to do it with all their friends. Unfortunately, it seems that in their desire to enjoy themselves to the fullest, they usually *&^%$#! off just about every other traveller everywhere they go. Throughout all of our travels, they were almost invariably listed as the least favourite group of travellers by those we asked. This group weren’t really too obnoxious, but the loud music which persisted past most people’s reasonable idea of bedtime, in spite of the signs at the campsite specifically asking for quiet and respect, was a little galling to say the least. We both resolved to make sure we took a different route the next day. The following morning, we held council with Alex and Grant, maps out and guidebooks consulted, to decide on the best way ahead. We’d gotten on well the night before, chatting and joking, and fell into walking together naturally. Meeting other walkers on the trail is one of bushwalking’s experiences which I appreciate most. It helps when they have similar ideas of what makes for a great walk too. Together, we decided to take the alternate route to Trapecio Punta and see what happened from there. The boys had received differing opinions on the difficulty of the route onwards from there, between being just a pleasant alpine stroll to needing full-on climbing and ice gear! Julian had also recommended Trapecio Punta to us, saying it was one of the best passes on the circuit, so we were pretty keen to check it out. Getting up close and personal with Nevadoes Trapecio, Jurau and Carnicero on the way over Paso Jurau. This remains just about the most spectacular day of walking of our entire trip. Unfortunately, so were the Israelis. 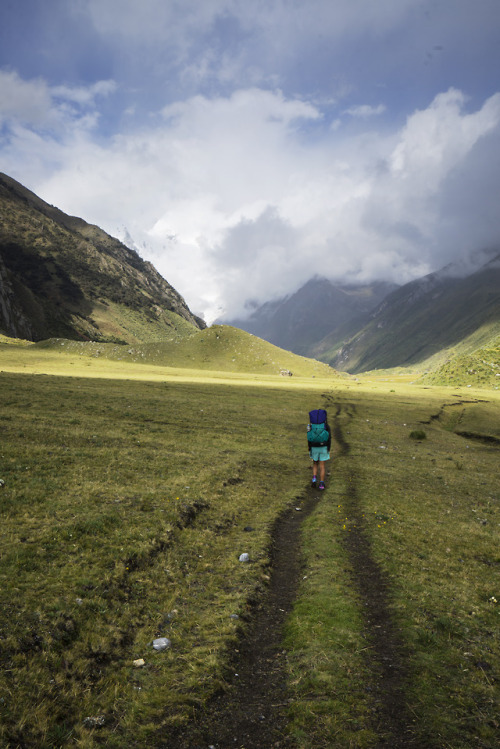 We left some time after they had broken camp, and saw them in the distance as we slowly ascended along the well-travelled main track towards Portachuelo Huayhuash, and lost them after they turned around a corner. Picking what looked like the most sensible place to head off towards the pass, we made our way gradually across grassy slopes, above beautiful lakes and past huge boulders. Following an intermittent pad and the American boys in the distance, eventually spotting the Israelis ahead, we all arrived at Trapecio Punta at just about the same time. Sitting down for lunch, we struck up a conversation with Darwin, one of the guides from the Israeli group. 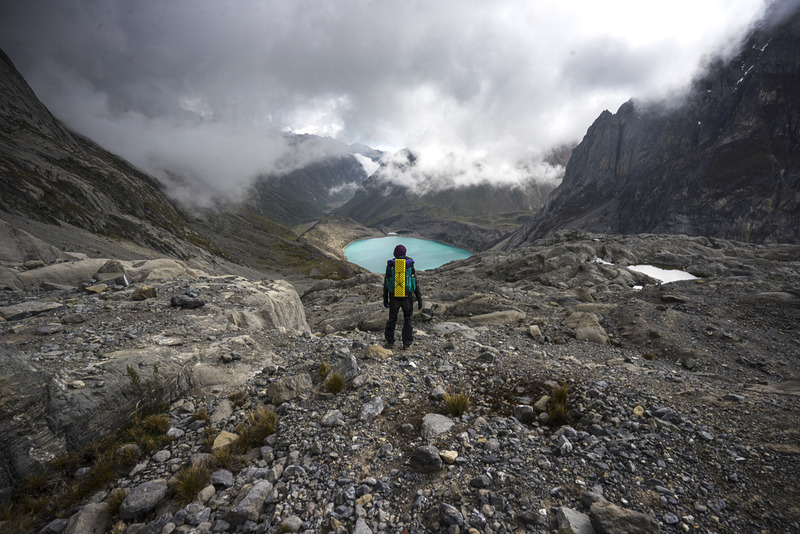 His group were descending from the pass past the stunning turquoise lakes we could see on the valley floor to our left, to spend the night at Cuyoc Camp. We were more interested in questioning him about heading in the opposite direction, up and over Paso Jurau. We hadn’t been able to glean much information, but there was a track on the map that seemed to suggest a possible glacier crossing. Darwin assured us that we would be fine, and that the track actually avoided the glacier by some distance. ...Views like this. Looking over Laguna Juraucocha. Those clouds broke not much later, but thankfully the rain was relatively short-lived. We decided to give it a go. If it turned out to be dodgy, we figured we could just turn tail and follow the Israelis to Cuyoc. It was definitely the right choice. 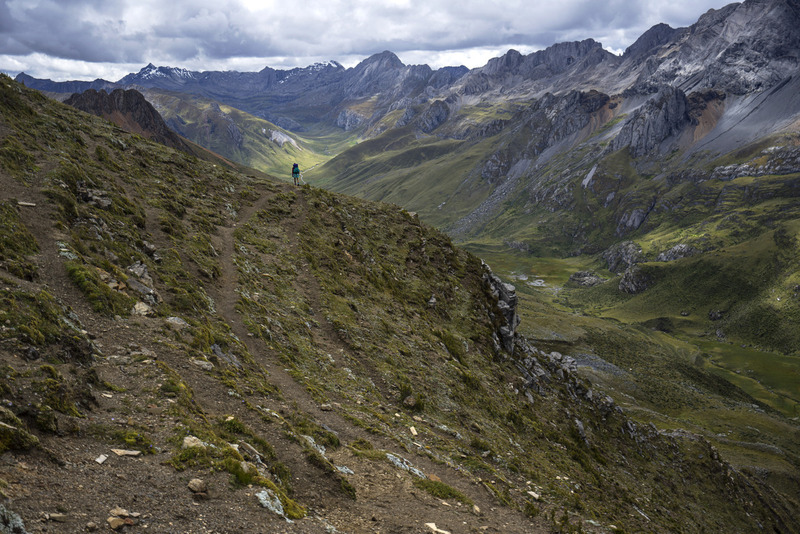 The descent from Paso Jurau at around 5100m to Cutatambo at 4300m was nothing short of spectacular. Initially following a few cairns to the top of the pass, we picked out a fairly easy route down across scree which transformed into a pleasant scramble down sloping slabs as we turned the corner and came face to face with a beautiful view of Laguna Juraucocha and the rain clouds moving past it in our direction. It was now a race to get down off the potentially slippery slabs before the rain arrived, but we all made it to the valley floor in one piece. The boys set up in the ruins of an old hut, whilst we found ourselves a nice flat spot a couple of hundred metres away. A communal dinner in the ruins was followed by a calm, settled night. Many of you may have heard of Joe Simpson, or at least of the Book/Film Touching The Void. The events told therein are an incredible tale, and I encourage you to check them out if you haven’t already. We had camped at the foot of the valley where it all transpired, so a trip up-valley was definitely on the list. We left the following morning in bright sunshine, making our way up past a lovely waterfall and into a relaxed valley filled with (mostly) friendly cattle. A track, vague at times, led us onto a ridge which overlooked the laguna by which Joe and friends had made basecamp, and gave us a great view of the glacier down which he had dragged himself over those torturous hours. One can’t see the face of Siula Grande which they climbed, but seeing the glacier was impressive enough! Imagine dragging yourself and your broken leg down that glacier for a couple of days... Kudos to you, Joe. After our little sidetrip, we headed back to camp, ate a quick lunch, packed up and got started with catching up to the boys, who had elected to skip the morning’s activities and head straight on to Huayllapa, a small settlement where we were expecting to have a cooked meal and maybe stock up on some provisions prior to the last couple of days back to Llamac. Our trundle down from Catatambo to Huayllapa was magical. With the sun shinging, the Lupins out in force and a host of new baby calves amongst the herds, it really was a bucolic stroll. We arrived in to Huayllapa in the early evening, and after paying the toll-collector on the way into the village, made our way to the free village campground – the school soccer pitch. Here, we not only found the American boys, but also the Israeli group from whom we had split prior to Paso Jurau, as well as another group of middle-aged folk that included a few Australians. We identified each other based on our choices of lower leg wear – you really don’t see many other people wearing gaiters when overseas! The Lupins were out in full force. Entering the beautiful rural countryside around Huayllapa. After a meal of chips, rice and fried eggs, we bedded down on the soccer field. The Israelis made plenty of noise, but settled down soon enough. They were up and away before us the following morning, but we were now starting to hit our stride, and it didn’t take us too long to overtake them on the way up to Tapash Punta. The American boys were another matter though. Keen to make it back to Llamac that day, they were on a mission. We shared lunch at the top of the pass, and they then took off down the alternate route via the Quebrada Ocshapata. We followed, but at a slightly more sedate pace, meaning we ended up at a campsite about halfway down the valley for the night. Towards the top of Tapash Punta. Rising early the next morning, it was a steep-at-times descent to the Rio Jahuacocha, which was crossed fairly easily on a bridge cobbled together with various branches. After having so little trouble getting across, we were amazed to hear that the boys had managed to completely miss this bridge, and had had much more of an adventure getting across than we had! After crossing the river, it was a steep climb up pads on the hillside to rejoin the alternate, flatter track which took us back towards Macrash Punta. What had been a steep, long ascent on the first day with full packs was now an equally steep but much shorter descent into Llamac in time to catch the bus we had been told would leave at 11am. And perhaps it would have too, if it hadn’t been for an American walker who seemed to have her wires crossed and wasn’t very happy about it. Apparently she had organised with a tour company to walk Llamac to Llamac, but hadn’t been told that they wouldn’t be bringing her stuff to Laguna Jahuacocha, and instead would be taking it on to Quartelhain. Or something like that. To be honest, I ignored it all, and just enjoyed the fact that in place of the bus she was holding up with her arguments, they arranged for a truck to take us back to Chiquian! So we, the American boys and various other piled into the back of the old truck for the bumpy ride back along the deep valleys and by the beautiful rivers to Chiquian, where we all celebrated with lunch and icecreams. Whast a beautiful walk! Bonding in the back of a truck! Great report and photos - thanks for sharing. Awesome place.